This is exciting news for me and I hope it's exciting for you too! This product is exactly what I need! 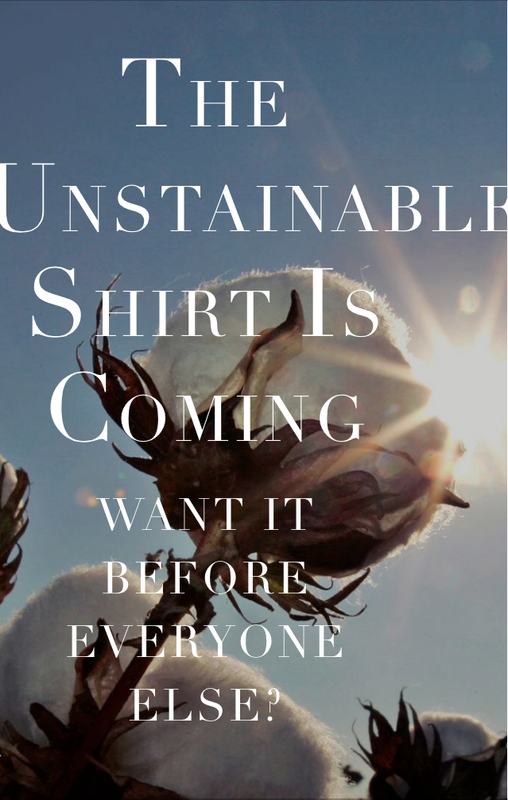 Elizabeth & Clarke, a company that I have blogged about in the past, has announced they are launching an unstainable shirt. Um, yes, please! And why has nobody done this until now?!? I have a 2 year old daughter and end up with stuff on my clothes from little dirty hands all the time. And I'm not the cleanest person when I eat, so this sounds perfect! Elizabeth & Clarke is known for their classic, timeless pieces that are perfect for work or lounging around the house. It appears they will be launching an unstainable tee and an unstainable blouse, but unfortunately I don't have any details about what they will look like. The exciting part is, by signing up through my link you will be given a referral link and if you have at least 25 people sign up through your link you will get a complimentary unstainable tee a month ahead of the launch date when it will be available for purchase. Also, if you have over 50 people sign up through your link you will get a complimentary unstainable blouse! Plus, you'll be helping me get a free tee or blouse, and I'd greatly appreciate that!!! So, what are you waiting for, sign up now! *This post contains referral links!